We have a variety of regular activities taking place in the hall. Come along for tea and cake, and a chance to meet old friends and make new ones. Third Thursday of the month at 7pm. Sunday mornings in the run up to the May Fayre. Wednesday in the small hall, 10am to 4pm. Tuesday and Wednesday at 7.30pm. 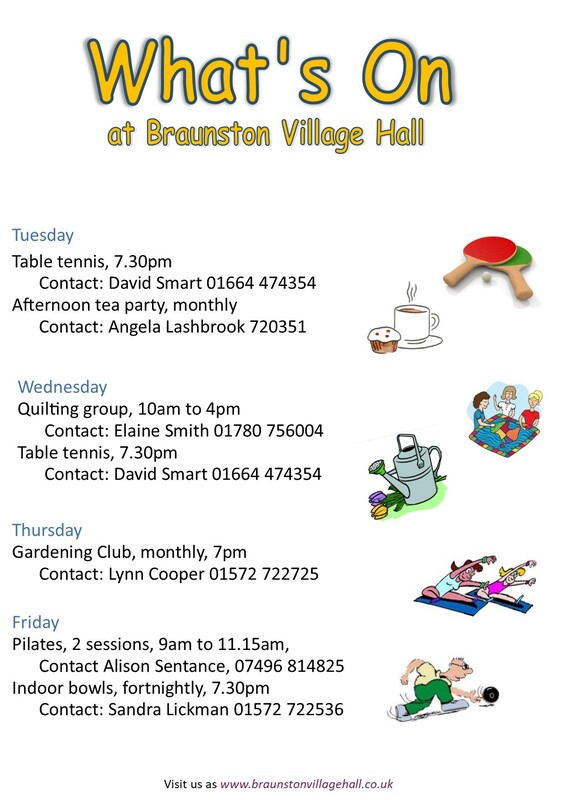 If you would like to hire the hall for your own club or activity, please get in touch with us by emailing bookings@braunstonvillaghall.co.uk. We can offer discounted rates for regular hirers.